CHICAGO – In new clerk Karen Yarbrough, Cook County now has its first woman and its first African-American serving as its clerk - and the first resident of suburban Cook County to hold the office. Karen A. Yarbrough was sworn in as the new County Clerk on Dec. 3 at the Daley Center, with the oath administered by Cook County Circuit Court Chief Judge Timothy C. Evans. Yarbrough, who most recently served two terms as Cook County Recorder of Deeds, was elected Cook County Clerk in November. 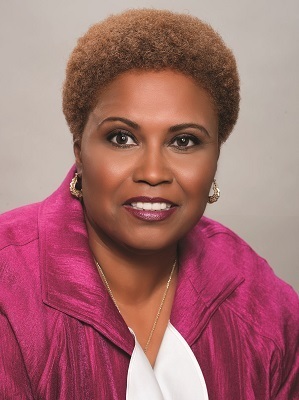 She also previously served as state representative for the 7th District. In addition to becoming the first woman and African-American to serve as a clerk in the office's 108 years, Yarbrough is also the first resident of suburban Cook County to serve at the office. Yarbrough told the Cook County Record she would initiate an "assessment of the office and its needs, talking to people in leadership roles to see what needs they have, introducing myself to the departments, readjusting organizational needs, and getting acclimated in the office." "I am going to work with my team and develop initiatives to address the many areas for which the clerk is responsible for with fiscal responsibility at the forefront," she said. She added that she would be "taking the same approach" as she did in running the recorder's office, which was doing "more with less for the residents of Cook County." The new county clerk said people should expect "many new and exciting things." She said she is planning to take a look at "internal software systems for voting and cashiering." And would explore how to handle "long-term required initiatives," and particularly the absorption of the county recorder's office into the clerk's office, as approved by Cook County voters at a referendum in 2016. "The public should expect similar changes to what I achieved in my time as recorder, which included creating one of the most-active and wide-sweeping community outreach programs, which educates and empowers residents about how to prevent property fraud, save thousands of dollars in estate planning costs and take advantage of numerous veterans benefits, as well as made sure government worked for them," Yarbrough said. Yarbrough said she intends to "build on" the "many successes" of her predecessor, former Clerk David Orr. She noted his work to boost "transparency in government," and particularly related to tax increment financing districts and election security. In terms of cybersecurity, Yarbrough said her office would also "be exploring how blockchain technology can assist in securing governmental records in general," which is also "a major part" of her anti-fraud initiative. Yarbrough declined to set a limit on how long she would remain in the office, saying only she would tell voters she woul stay "as long as they will have me."